A gig to support the Red Cross Japan & Pacific Disaster Appeal. Tsunami hit my home town... My home country is struggling to rebuild... Some people lost everything... Japan, You are not alone... World pray for you. and Nobu & Friends "PLAY for JAPAN"
Come and enjoy nice Sunday afternoon/evening. 8 amazing music acts. $5.00 entry (all proceed to straight to charity) kids welcome. A Condolence Service for victims of the Japan earthquake disaster was held in Elder Park on Monday, 11th April 2011 at 5:30pm. The Acting Consul-General of Japan Yasufumi Kotake represented Japan at the ceremony, and Natsuko Yoshimoto, concert master of the Adelaide Symphony Orchestra performed. The ceremony was conducted by Buddhist and Christian priests. Thanks to all who attended. 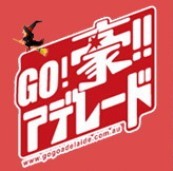 The Golden Week Japan Festival, "Kodomo no Hi" was held on Sunday, May 1st 2011 at Cowandilla Primary School. See a video of last year's festival here. The festival raised over $8000 for the Red Cross Japan and Pacific Disaster Appeal, and JAFA has decided to add some of its own funds to make the total donation $10,000. Thanks to everyone involved for making the day such a big success. JAFA's annual Nabe Night is over for another year. Thanks to everyone who attended. Keep the cold weather away at our annual "Nabe night"
Nabe (nabemono) is a soup/stew cooked at the table and enjoyed in the colder months. Booking and prepayment essential. Read on for payment details. We hope you all enjoyed the End of Year Bonenkai Party on 4th December. A strong crowd of 60 members and friends stayed well into the evening to celebrate our final get-together for 2009. Please find some pictures below. Heather Smith gave us an amazing show of her enka talent, while our special guest Mr Santa Claus helped spread the Christmas cheer as we all worked on "forgetting the year". Wishing you all a Merry Christmas an a Happy New Year. 良いお年を... See you in 2010!